Retired Judge, Don Sawong is heading a team to investigate over K40m debt incurred by the Provincial Government over the years. 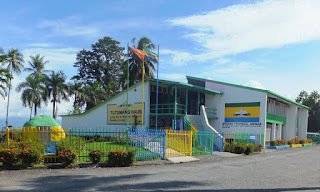 Morobe Governor Ginson Saonu told a recent conference of the Evangelical Lutheran Church in Bulolo that he wants to establish how the province has incurred the massive bill. The investigation started last week and is expected to continue. The Morobe Governor says the people have the right to know how the money was expanded because it is public money. Saonu says starting from the top post in the Provincial Administration, how to the service providers all off them will be questioned on how the figure has accumulated. He says he's mandated by the people to do the right thing, therefore, he believes finding out where the money has gone to is the right thing to do. "Husait i mekim na displa K44m i kammap? "Ol public servants or politicians? "Disla em moni blo ol pipol. "Sevis imas go na pipol blo Morobe laikim disla moni, na why na disla issue i kamap." Governor Saonu says a report will be tabled for further deliberation by the Morobe Provincial Executive Council after the investigation is completed.